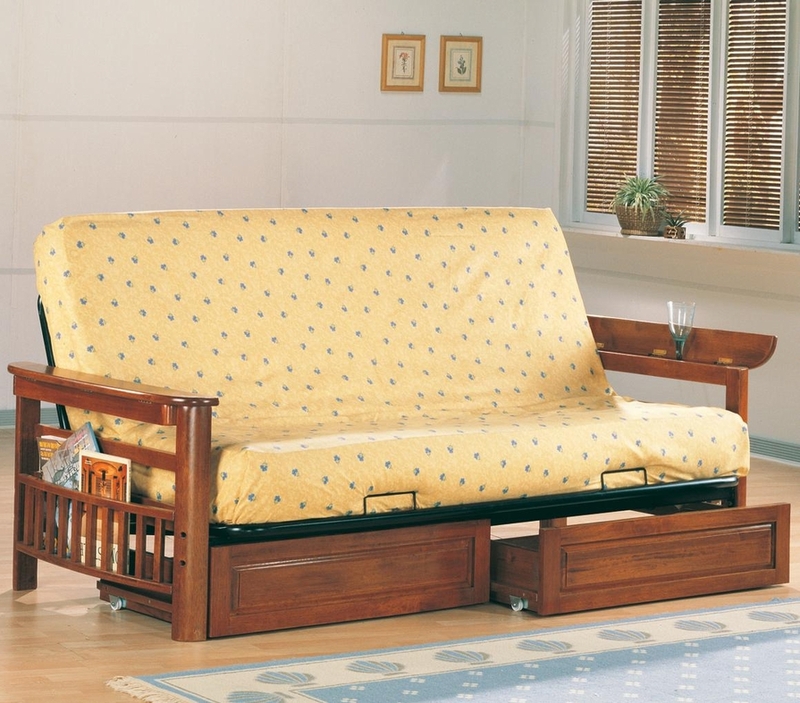 Add these lovely futon spacious storage drawers below. Keep extra blankets and pillows in the drawers underneath. Make the most of your space with this stylish and functional futon. Mattress and futon frame not included.